Up and at ’em again! You’d think after a long day of touring six wineries Adam and I would relax by the pool at the Meritage Resort. Yea right! We have more vineyards to see and wines to try! 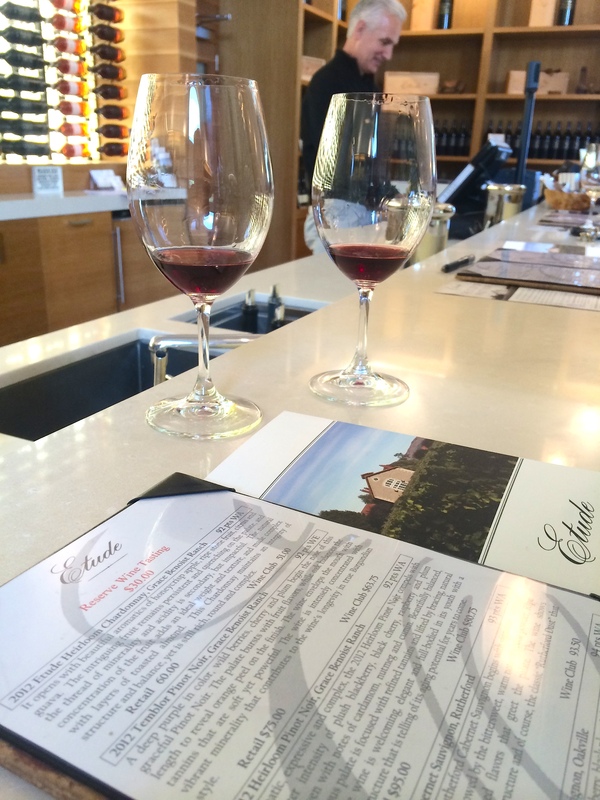 If you missed our Tuesday Travels post, take a look and get caught up on our two day trip to Napa Valley. 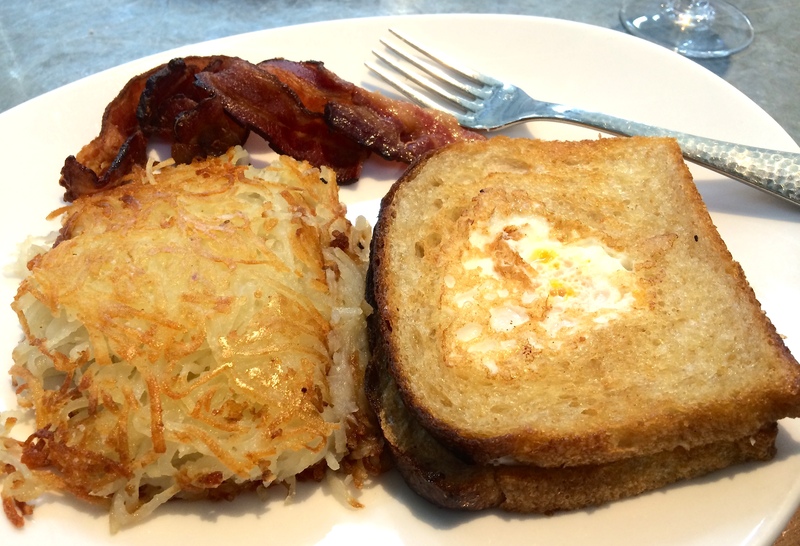 @HeliHubby and I started our Friday morning with a late Breakfast at The Boon Fly Cafe. Wow y’all! Talk about good eats! You’ve got to make a stop if you’re in the area and start with their “Bakers Dozen Donuts.” So not healthy, but oh so yummy! 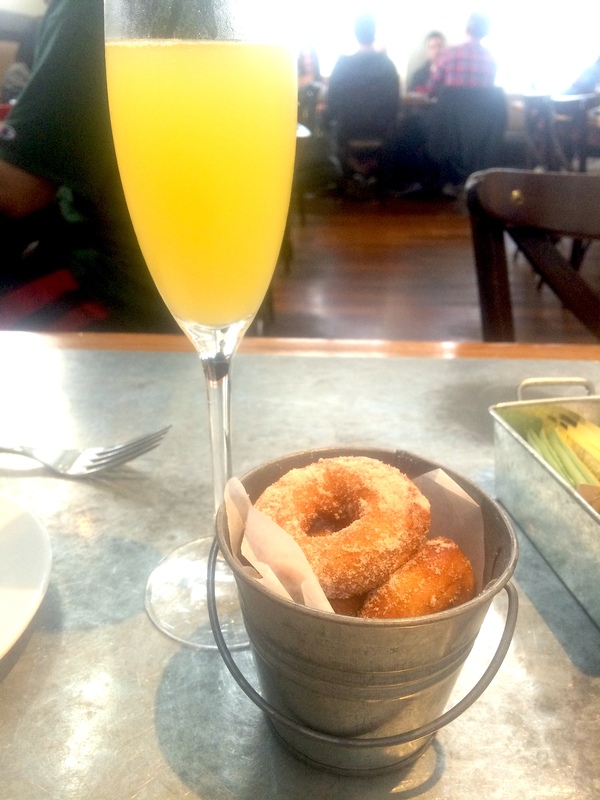 They are mini cinnamon/sugar donuts served with a variety of jellys to dip the in. Yum! Yum! 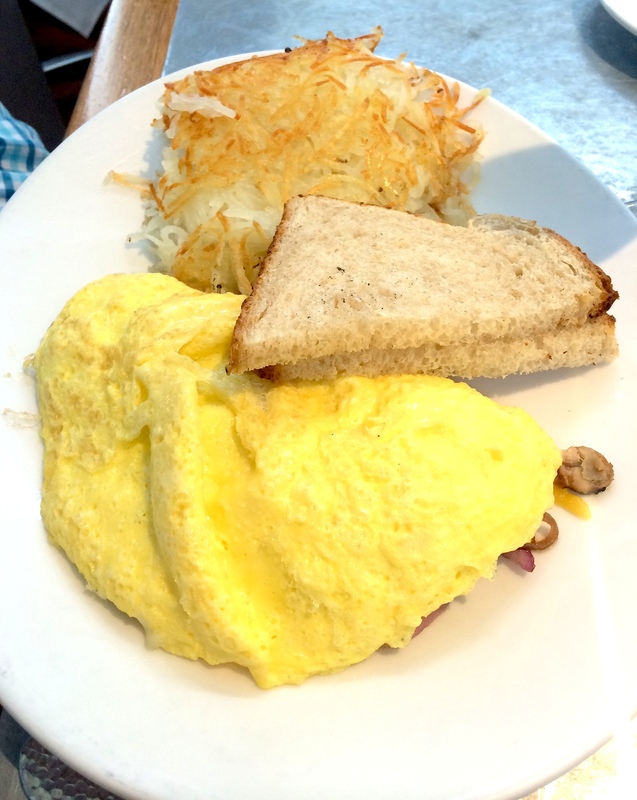 Adam had a omelet and I ate the Poppa Joe’s Egg in a Hole…so so good! Really, can you tell how much we enjoyed it? I can’t wait to go back! 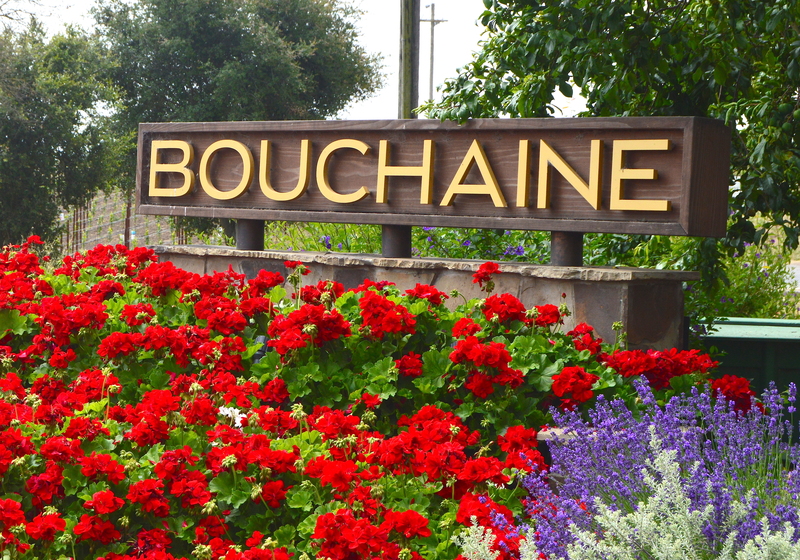 Our first Winery of the day, was Bouchaine Vineyards. 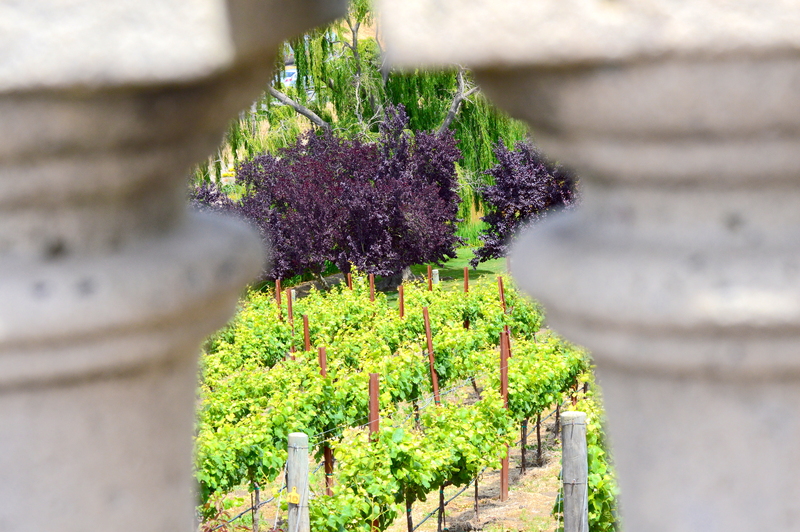 They are the oldest winery in the region and are now a locally owned boutique style winery. We can not say enough wonderful things about this tasting. Our tasting guides Alli and Tyler were the best we had our entire trip- they could not have provided a better experience! Both were extremely knowledgable about the wine and the wine making process. We loved that we could tell they both genuinely loved their job. We found another delicious sweet wine here too! We can’t wait to return! 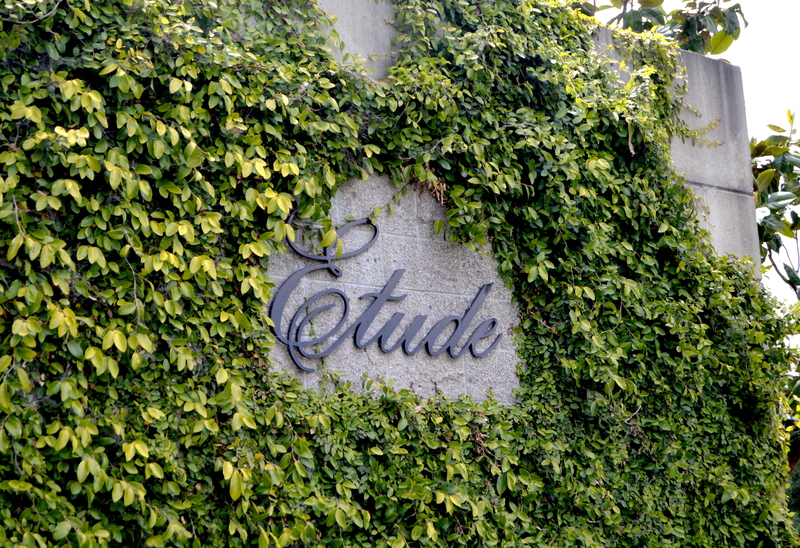 After our tasting at Bouchaine we stopped by Etude for another quick tasting. 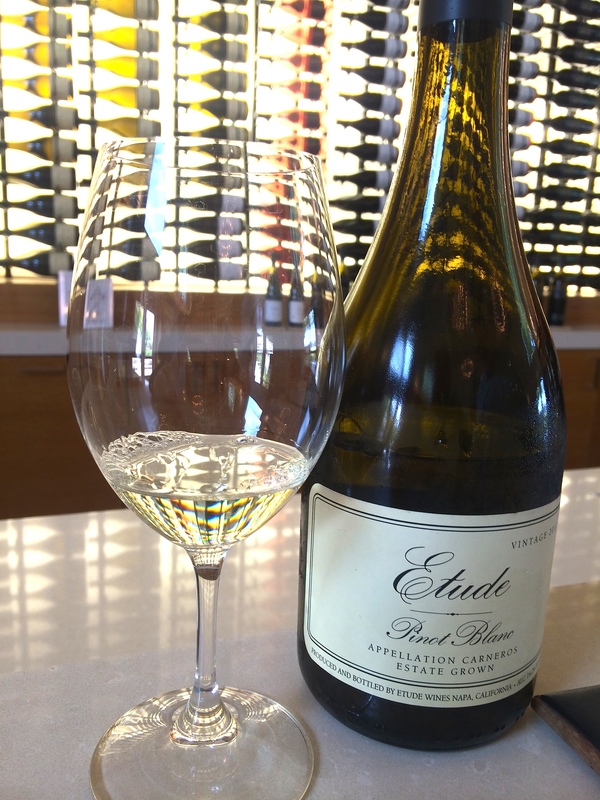 Their tasting cost is a bit more expensive than most wineries in the area, however, we were able to taste very high end bottles. (Wines that Adam and I would never buy-way too pricey for us!) A great experience though! 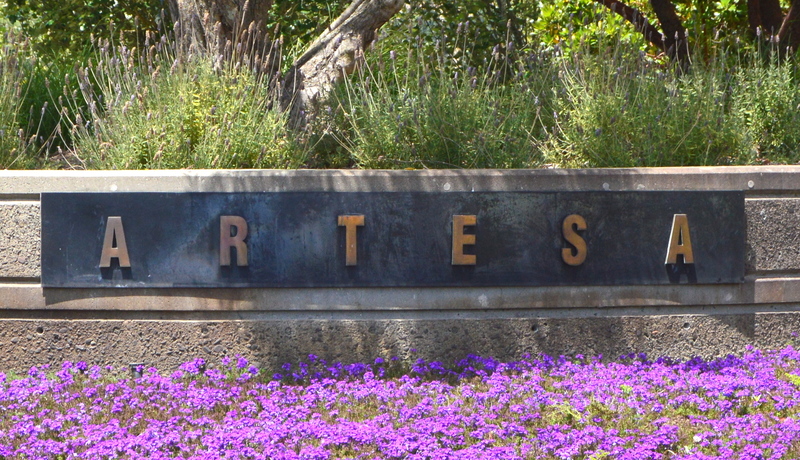 From Etude we went to Artesa Winery. 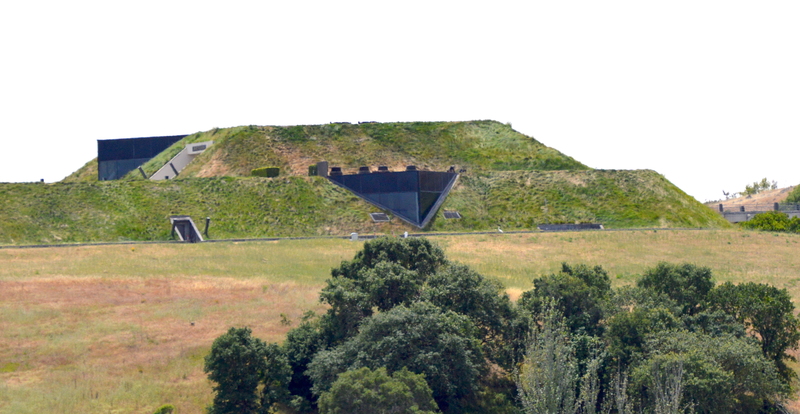 The tasting room is very unique, it’s built into a hill- you’d never know it was there! 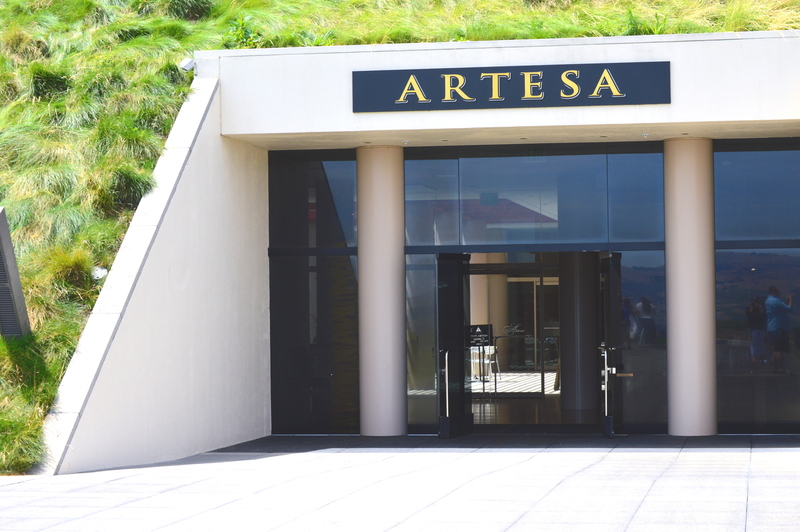 Artesa has a large outdoor tasting area- awesome views of the grounds and the valley area. 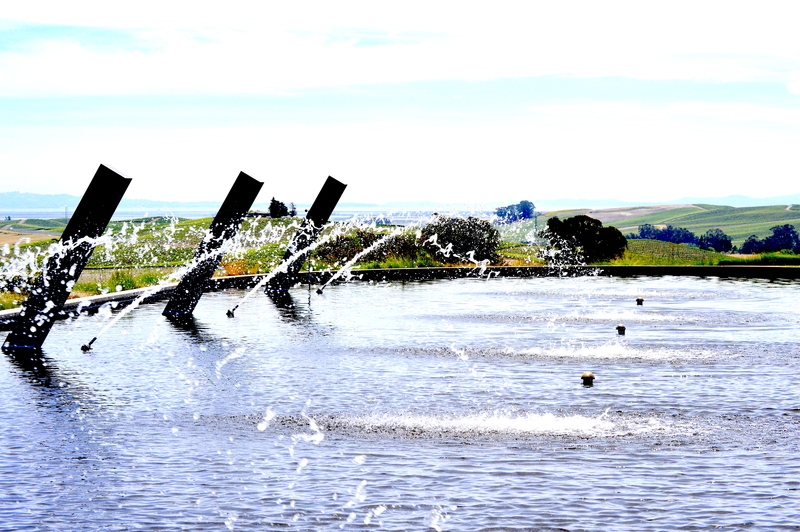 On a beautiful sunny day, it is the perfect spot to sit, relax, take in the views and taste the wines! Artesa had the “youngest crowd” and was the most busy out of all the wineries we visited. It actually felt like we were at a club fighting to get to the bar for a drink. While there we met an older couple that was part of their wine club and they could not even get service. The views were awesome, but not worth going back to and fighting the crowds. We each had one glass of champagne and left. Disappointing. 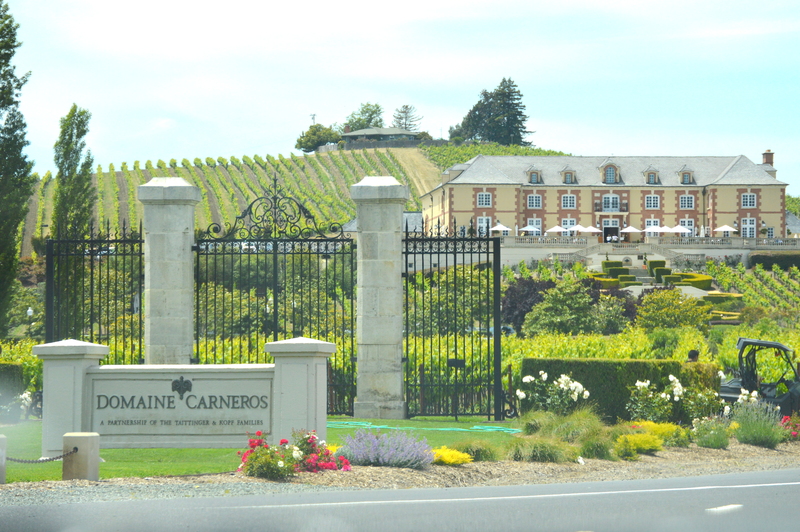 We planned to visit this vineyard midday, because they are one of the very few that serves food alongside their tastings. (at an additional cost) It is definitely worth paying a little more though! Reservations are required, we planned about an hour at each winery tasting prior in order to make it in time for our reservation. Again, another site with gorgeous views and a large outdoor tasting area. 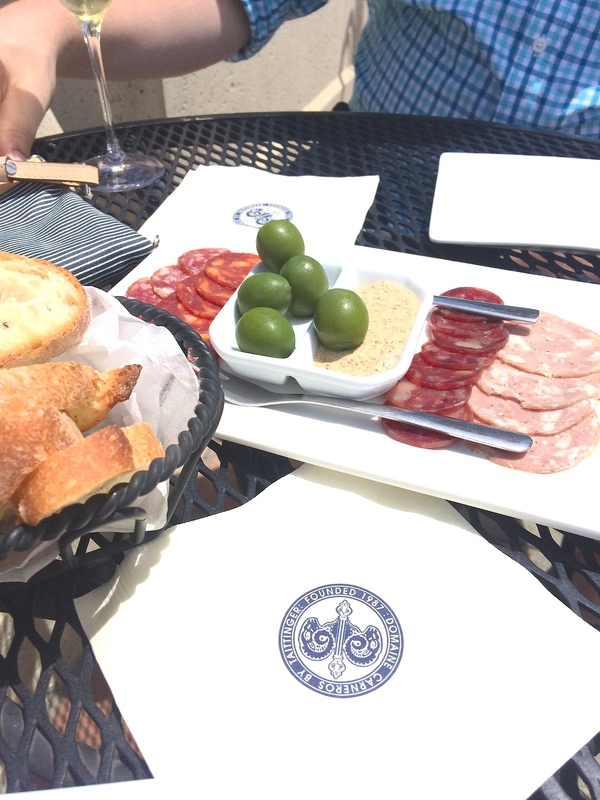 Adam and I each did the Grande Champagne tasting with the Charcuterie Plate. (A selection of artisan meats served with sliced baguette.) Our host was an older French gentleman- he just loved Adam and I! He brought us out an additional dessert Champagne to try along with some dark chocolate to top off our visit! It was another favorite spot added to our list! 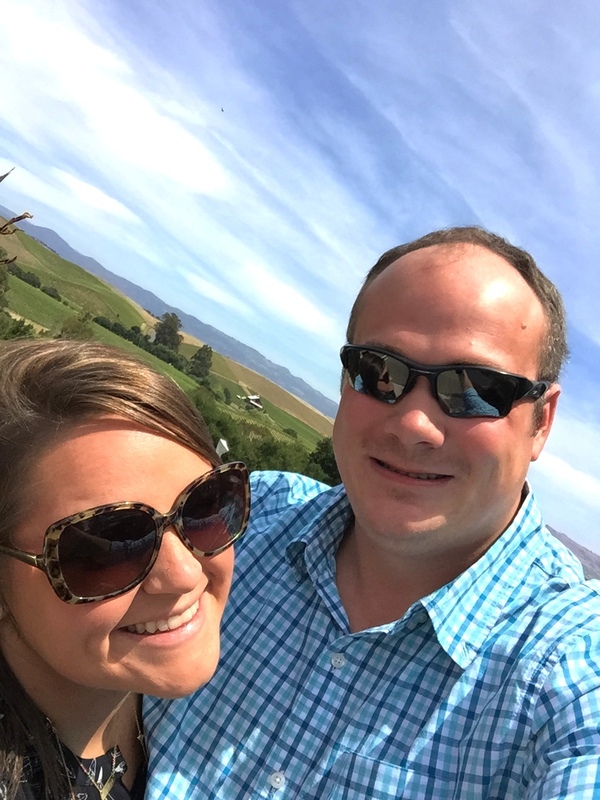 We loved our time in Napa and can not wait to start planning a trip back. We could literally spend weeks out there and not see everything! 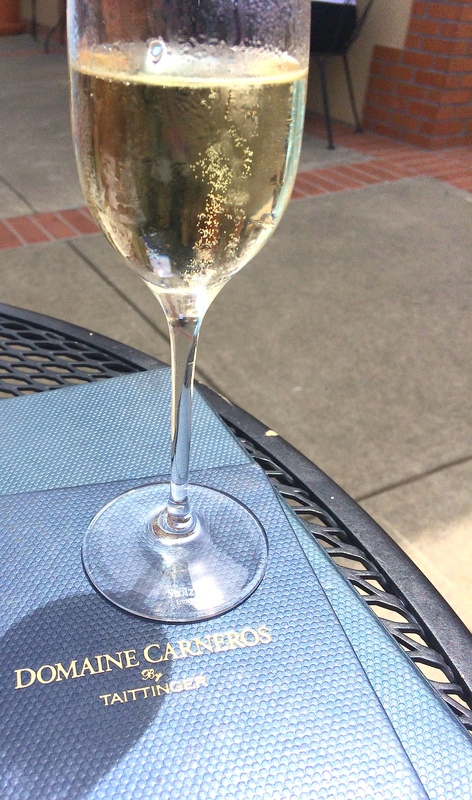 Have you done a wine tasting trip out to Napa or Sonoma? We’d love to hear from you! 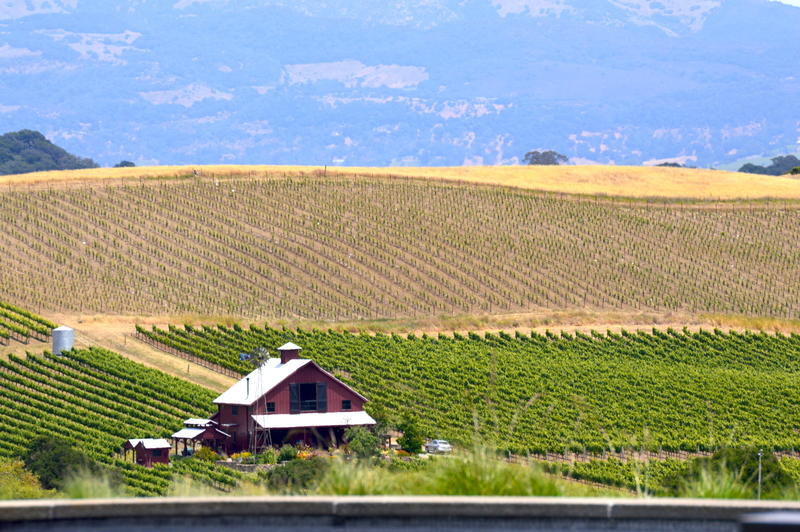 What are your favorite vineyards to tour? 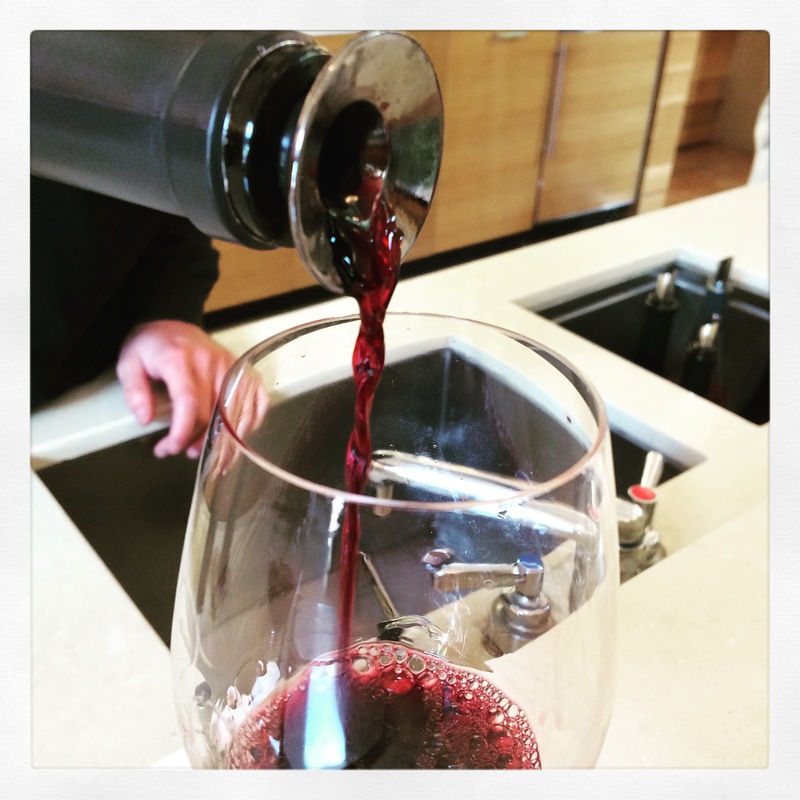 Wines to taste? Watch for another Newly Newlywed Tuesday Travels post next week! We’ll be sharing our trip down to San Francisco through the Muir Woods and over the Golden Gate Bridge, plus all the things we did in the city! Don’t forget to follow these spots on @twitter too! 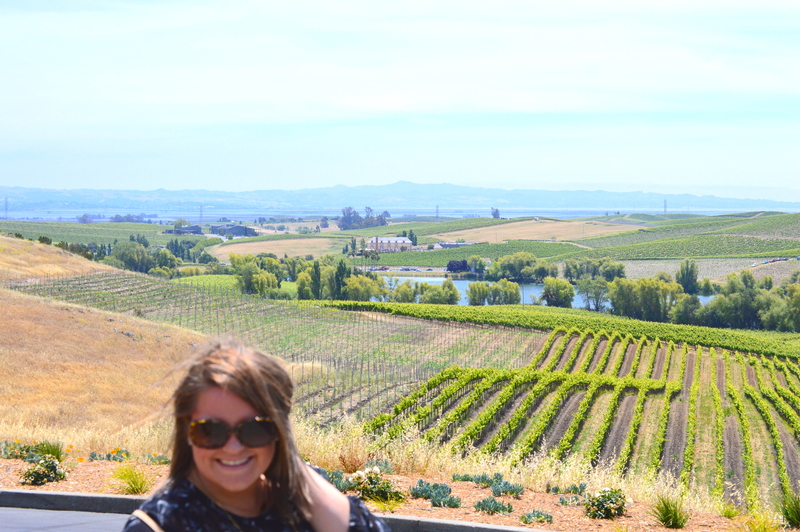 So sad to see our Napa Valley trip come to an end, but we will be visiting again soon! Now to continue Adam’s birthday celebration in the city! We will share all the details soon! Hope you are enjoying your Newly Newlywed or Nearly Newlywed moments as much as we are!